Pond Netting is an easy and simple way of keeping debris out of your pond. The barrier that it creates also keeps birds and other wildlife from getting to fish. The netting need not touch the water to be effective and it can be easily removed for access to the pond for maintenance and more. Pond netting is versatile netting; it can be used on Crop Cages, Frames and home-made DIY Pond Structures. Other useful uses around the garden include crop netting and vegetable netting. The pond net helps to decrease the levels of decomposition in your pond, this reduces the amount of algae growing and this keeps your pond clearer and smarter. QVS also supply a wide range of pegs to help secure your netting and items like cane connectors that are great when building structures to incorporate the net into your garden. 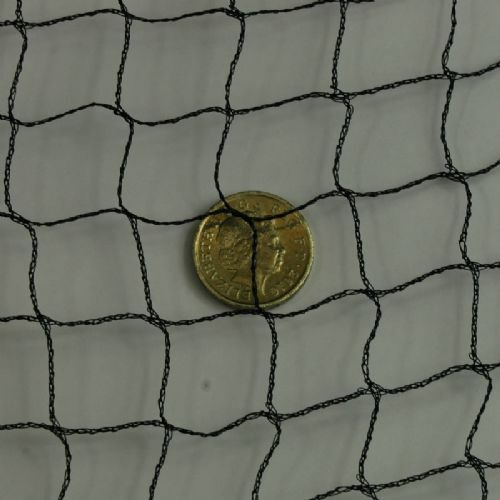 QVS pond netting comes in a variety of mesh sizes allowing you to tailor the netting to the level of protection your needs.